Jef Beck talks about collecting vintage Ken dolls, and the evolution of Ken as part of the Mattel Barbie franchise through various styles and eras. Jef can be reached via his website, Keeping Ken, which is a member of our Hall of Fame. I always wondered if starting a hobby in my free time was a good idea, and then I remembered Ken. He was a gift to my older sister Brenda in Christmas of 1970 when I was living in Independence, Missouri. I was only 6 years old at that time, but I remember so many details about it. I was fascinated by it. 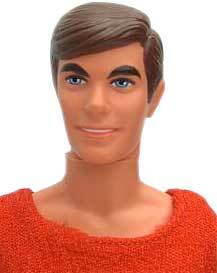 The name of the doll was “New Good Lookin’ Ken.” I just vividly remember everything about that Christmas. It was my favorite gift. My sisters Missy and Brenda got Barbies. I think they even got a Dream House and everything that year, plus the Ken. It was quite a haul. That was my first recollection of the fantasy world that Barbie can take you into, and I was just real envious of it. Ken became my toy that year, but he also became a bridge between me and my two older sisters – a world that I secretly admired, but I wasn’t supposed to be included in. I played with Ken and Barbie with my sisters, my cousin and the neighbor girls. Back in that time, it wasn’t probably very appropriate, but my mother never questioned anything. It was just that whole feeling of being included in their playtime; I think that’s why I love him so much. Then fast forward 25 years later, here in Cedar Rapids. I collect him because it helps me recapture my youth a little bit. 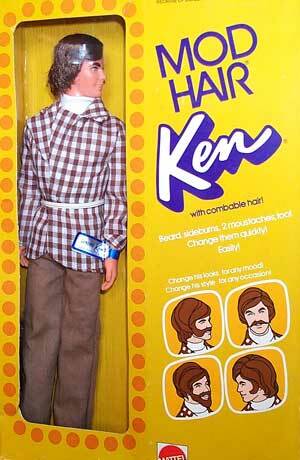 It was different for me as a kid to break that taboo at such a young age – that Ken could be for boys, too. I started collecting in 1998. The Barbie 40th anniversary is what started my collecting. It made me reflect back on having Ken dolls as a little boy and it triggered something inside of me to recapture those memories. I thought to myself, well, why does Barbie get all the attention? 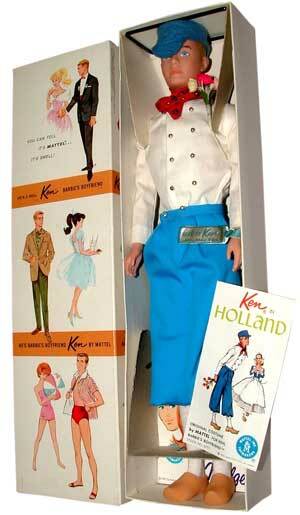 Ken’s had great careers and he’s put in almost as much time as Barbie; he was only created two years later. Really, he was just considered an accessory, so I just figured that he needed a little bit more attention. I started my website just to keep track of my collection. I never realized it would turn into this huge thing where other collectors say, I collected Ken, so then I turned it into more of a collector resource. Collectors Weekly: When did Ken first appear on the shelves? Beck: 1961 was when he was first introduced to a toy fair in New York. He was obviously very heavily marketed as Barbie’s boyfriend. I think it was in the ’80s that Mattel dropped all of that out of their advertising for him. Out of all of the characters that Mattel created as friends and family for Barbie, Ken’s been there every single year except for one year – 1968 – when they changed his image and his body mold and everything. Actually, that 1968 stamp is still on his body mold. That’s really the only time they made a major change. Before the change, he was very boy-next-door, pretty much like vintage is very boy-next-door, that very elegant time where everyone was polite and everyone dressed very nicely. The clothing for the vintage era is very meticulous; very, very well done, just scaled down perfectly. In the mod era, the clothes were still very well made, but they get a little crazier with really vibrant colors. That’s what attracted me to them. Into the ’80s, Mattel started using not-as-great fabrics, a lot of polyester and stuff like that. So that era’s not as popular, but I have a feeling that will just boom in the coming years once people get older and remember dolls that they had from the ’80s. Ken follows the same eras as Barbie does. He has a vintage era and a mod era. The mod era nowadays is as collectible as the vintage era. Then you have the ’80s dolls, the ’90s dolls, and current dolls. My favorite happens to be the mod era, just because those are the dolls that I remember in the past. The ’80s are not my favorite, but Mattel came up with a lot of great Ken dolls in the ’90s. That’s probably my other favorite era to collect. You can determine the era pretty closely by head molds. If you look at a head mold, there’s always a stamp on the back and that will tell you exactly what era. The hardest way to do it is by the body mold because Mattel is still currently using the 1968 body mold. Collectors Weekly: How many different Ken dolls would you say there are? Beck: The last count I did, there were 247 versions of him actually produced, but there are some years that I find one that I had never heard about. Usually those are from foreign countries. There are a lot of really great dolls from Brazil, and I got one from Peru that I had never heard about. It’s those right now that make it interesting for me – just finding the ones that you’ve never heard of. I think I’ve got pretty much all of them on the site now. There really haven’t been any Ken limited editions. The one that’s extremely hard to find is a Coca-Cola series with Barbie. I think that there were four different Barbie dolls, and then they had a Ken doll like a soda jerk. It was interesting that they had the whole series and mass-produced Barbie’s four different versions and then threw in a Ken. So they’ll toss you a bone every once in a while. 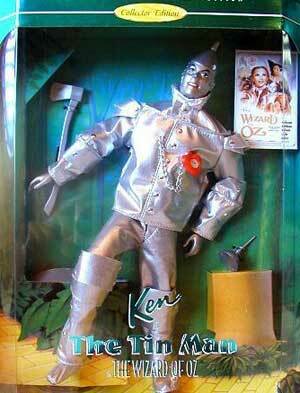 The first collector Ken doll would have been in the Wizard of Oz series, and there was the Hollywood Legends. There was Hollywood Legends Ken as Rhett Butler in 1994, the Hollywood Legends Ken as Henry Higgins after that, and then in 1996 would be the Hollywood Legends Ken as the Cowardly Lion. They had a Scarecrow and a Tin Man, too. The Ken as Rhett Butler is the very first Ken doll specifically made from a collector point of view, and there have been lots of Barbies done before that. Another best-selling Ken doll is the Harley Davidson Ken, which is the first edition, but that’s pretty easy to find. Collectors Weekly: Are certain Ken models more valuable than others? Beck: Yes. There are different outfits that are harder to find and then there are mostly model lines. Number One Barbie sells for $5,000 plus, but you can get a Number One Ken for $300 to $500. Dress Box Kens are the most expensive and hard to find. They were released between 1963 and ’65, and they range in price from $400 to $650 on the secondary market. There are 14 known versions of that, and I personally don’t have any of those at all. As far as outfits or fashions, there’s Here Comes The Groom from 1965. That’s really hard to find just because of all the little pieces: a gray tuxedo with tails, a wing-tipped collar shirt, a gray fleece double-breasted vest, and little gray plastic flocked gloves. The second hardest one to find is from 1966, and it’s called Business Appointment. It was available in 1966 through ’67. It’s considered really rare. He’s wearing a navy and white tweed overcoat and black vinyl gloves with a functional briefcase, a black felt hat and a miniature copy of the Mattel Daily News. I went to a convention last year and someone had a Business Appointment for sale, and I think they were asking for a thousand dollars for it. I just figured that it was a smart investment to start collecting before the 40th anniversary in 2001, because I saw collectors start to realize that Ken is a pretty good value. There are not as many really valuable Ken dolls as there are Barbie, so that’s why I like collecting them. I can one day say that I have every single Ken doll, whereas if you collect Barbie, I don’t think anyone would be able to do that in their life. Collectors Weekly: Can you tell us about the Barbie Convention? Beck: The National Barbie Convention happens every year. Last year it was in Kansas City. I’ve been to seven of the national conventions so far. Actually, my very first one would have been Ken’s 40th anniversary. I have an Internet Ken club that’s called He’s a Doll, and we’re really hoping that we can do something for the convention for Ken’s 50th anniversary to really bring him out in the spotlight. Sometimes we wish they would utilize the Ken brand a little bit more. I don’t think that they realize how strong of a brand presence it has. The convention is awesome. There’s a fashion show, a raffle, and a sales day. You can go in and shop until you drop. There are room sales, workshops, and Mattel has a presentation. You see the same people year after year, so it’s like your extended family. The Ken collectors are a pretty close-knit group. I get a lot of e-mails from people all over the world that collect Ken. There have been Ken collectors as long as Barbie collectors, but he has always been treated as an accessory or just an add-on. Now I think more Ken collectors are coming out of the woodwork because of my website. There are hundreds and hundreds of Ken collectors, but if there were thousands upon thousands, I don’t think it would be fun for me. We’re very dedicated. I don’t have any Barbies at all in my collection except ones that would come with gift sets where Ken was included. In my experience, most people that I know collect Ken dolls pretty much across the board. With Barbie, you have to specialize, but with Ken, it’s so much more manageable. It never gets boring, because you really can collect them all if you want. Collectors Weekly: Do people tend to keep their Ken dolls in the original boxes? Beck: I keep my Kens in the boxes, because I want to have a sample of what an original was like, but I have a lot of loose Kens as well. That’s what they’re called, loose, when they’re not in the box. Normally I try to have two of each, because I like to have one in the box and one out of the box, so that I can actually see what’s inside for historical records. I also collect Ken’s family and friends as well, because they’re male dolls. My favorite friend of Ken is Brad. I love Brad, but Curtis came later with the exact same head mold. The Derek head mold has been used for two dolls, Derek and Dude. It makes it interesting to see them resurface. Even Ken head molds have been used for different characters. He was used for Mr. Heart and a Todd doll. Sometimes Mattel recycles names too. 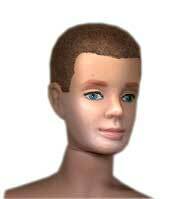 For example, the name Todd has been used for three different versions of male dolls in the line. The first one I started collecting was Tommy, and the reason I like Tommy is because he is actually Ken’s little brother. He’s the only sibling that Ken has. Collectors Weekly: Are there other Ken-related items that people collect? Beck: Ken’s never had a structure and he’s only actually had three vehicles: the Ken Hot Rod in 1961 and the Corvette and a motorcycle in the ’80s. The Corvette was very limited production, so that’s extremely hard to find. It was only available at Toys ‘R’ Us. We’d really love to see them do something different, even if they just did it through collectibles and didn’t mass-produce it. We understand Barbie is a huge trademark name, but Ken is also a trademark name. Give him his own environment, like a wooden environment, and make it really fun. We’re all just really looking forward to his 50th anniversary in 2011, because I think that they’ll probably do some really cool stuff. Collectors Weekly: If someone was just starting to collect Ken, what advice would you have for them? Beck: My collecting creed is that you just have to collect what you like. My motto is, I will be happy to have every single one of them, but I realize that’s obsessive. Collect what you want and collect whatever you have an attachment to. If you think back about the times that you played with a toy, regardless of what it was, doesn’t it make you feel good when you see it again? Really truly, it’s what makes you feel good. In terms of books, there are a lot of collector books for Barbie that include Ken, especially the fashions. There hasn’t been a collector book specifically for Ken, but there could be one coming up, hopefully for the 50th anniversary. Collectors Weekly: Anything else you’d like to mention? Beck: The reason I feel so attached to Ken is because of playing with my sisters and getting close to them. Even though I was teased mercilessly about playing with Ken, it never crossed my mind to stop playing with him. I don’t play with him anymore – it’s a collection. He really stood for what I always thought was good and gracious in life. I thought he was handsome. He was boyish. He was all I wanted to be, and, to be real honest with you, it helped block out the ugly things in my life. I want to secure his place in history for others who may have the strong connection like I had. That’s really why I do it. Great article…spending time with Jef at convention is one of the highlights of my year!!! I think the article is great too! Jef has really done a good job in getting Ken some recognition over the last several years. Thanks Jef!! Looking forward to Ken’s 50th! Jef has taught us so much over the years about Ken and, thanks to his website, keeps us up to date on all the Kens available. But more than that Jef has helped to make collecting Ken fun and “acceptable”. Ken has been taken out of the realm of just an accessory and Jef has helped Ken to stand on his own. Ditto on the previous comments. Thanks for the article, Ken and Jef Beck! His comments and sentiments are exactly what I feel. I adore Barbie but my joy with her and in collecting would not be without Ken. Ken adds just what Barbie needs to keep it interesting. Here’s to a Ken 50th so rightly earned and needed. Can’t wait for a/the book! Jef is extremely knowledgable and always there to lend a hand with his expertise. I admire his passion for the hobby and if it wasn’t for the hobby I would have never met such an incredible person. terrific article! I have several Ken dolls too and frequently visit themanbehindthedoll.com I really love the more recent Ken hid new face and LOVE the rooted hair, it makes him more collectable.We all love Beck in the Barbie fan club he always has new info on soon coming Ken dolls we all look forward too. Great interview!! Jef is awesome & a great resource for all things Ken!! Jef is a heck of a guy and so knowledgable about Ken. Thank you for illustating that fact! Jef’s “manbehindthedoll.com” website gave me a greater appreciation for Ken. I try to read every update and am a member of the “He’s a Doll” Yahoo group. A Ken book written by Jef would be fascinating to read; a must have book for all playscale collectors. Great interview! Way to go, Jef! Wonderful interview! I have time for only one group, and it’s the Yahoo Ken group. The manbehindthedoll site is my favorite, most often visited site, besides the Ken group and ebay Toys and Dolls. I love your story, Jef and a book by you would be a must have for me. I like your pictures and info on all the new Kens and related stuff, and also the windows on the conventions. It’s my only way of going. Thanks Jef! Thanks for sharing your passion and knowledge. Whenever I have a Ken question, I turn to your site. I’m a proud member of Ken’s online fan club. HI IS THERE A SINGING REAL HAIR, MOD KEN ~ MARKED 1968 CHINA? ELBOWS & HIS LEGS AT THE HIP BEND…PUSH BUTTON OVER BATTERY COMPARTMENT IN BACK. Jef with one “f”…I looked your name up on google and saw you were collecting Ken dolls…I just collect male dolls…but I don’t know why. It’s me, Chris Clegg from Indep. MO. e-mail me! I’d love to hear from you. I was 10 years old in 1967. I had no siblings,but plenty of female cousins then who would visit with their Barbie Dolls (and other makes). My mother bought me a Ken Doll to play with my cousin at that time. I distinctly remember Ken having a bathing suit and a Terry Cloth type robe or beach outerwear robe. Also, I owned 3-4 clothing items that I cant exactly remember for him (most had small snaps that held clothes on). But, a nice accessory not mentioned above was a pinkish or whitish armoire with doubledoors on hinges that swung out to open.Made of rigid plastic of course. It stood about 2/3 of Ken’s height and had little hangers to hang his clothes up in. I seem to remember a attached mirror hanging on the inside of hinged doors but not positive. Unfortunately, the set with Ken himself was passed down through the generations till it existed no more. Hope this info might be helpful. I have a King Arthur Ken Dressed Doll #0773 that I received as a gift when I was 10 and he’s still tied into the box with the little booklet in it’s cellophane packet that has never been opened and the box is in good condition. I was just trying to get an idea of how much it may be worth. I’ve tried to find him online and seem to only find the outfit or the box but never the dressed doll in the box. Any information you can give me would be helpful. Great article indeed. You just took me on a ride through my childhood. I almost teared up when I followed the link the the 1984ish Starry Night Ken (Black). I had that whole set. What a great experience. If you want to identify an item, try posting it in our Show & Tell gallery. “ ” The idea of mantiques is just a more relaxed way of approaching collecting, a casual pursuit that’s also intellectual and highly personal.